Last Sunday is a day that DolfansNYC will never forget. 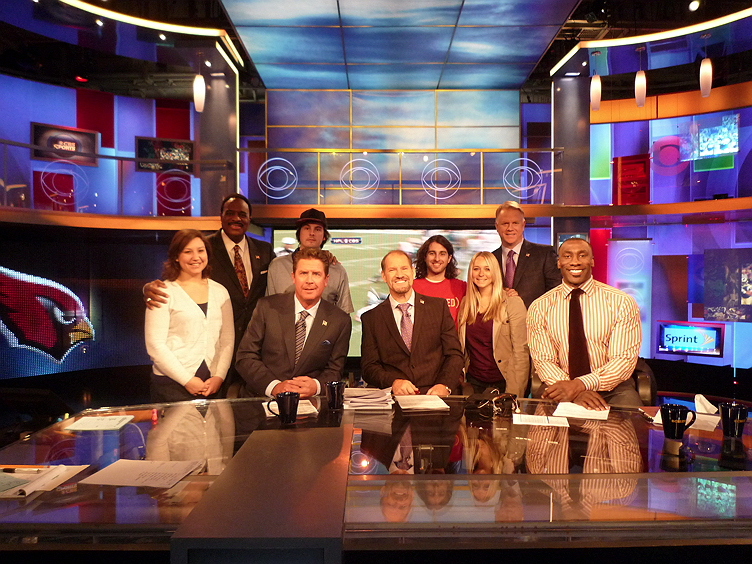 Through the help of Michelleâ€™s coworker, we had the opportunity to attend a live taping of CBS’ â€œNFL Today.â€ We stood behind the set as James Brown, Dan Marino, Bill Cowher, Shannon Sharpe, and Boomer Esiason went through the highlights at halftime of the early afternoon games. Once the cameras were off, we walked onto the set and took a picture with the entire cast. And then, we had the chance to meet our idol, the greatest quarterback in Miami Dolphins history. It was a little intimidating when my fiancÃ©e, Michelle, introduced me to her first crush. I felt like I needed to challenge Dan Marino to a throwing contest to win over her affections. Luckily, I thought better of it and excitedly shook his hand. After all, the man looks like he could still hit open receivers 50 yards down the field with his cannon arm. â€œIs this for me? 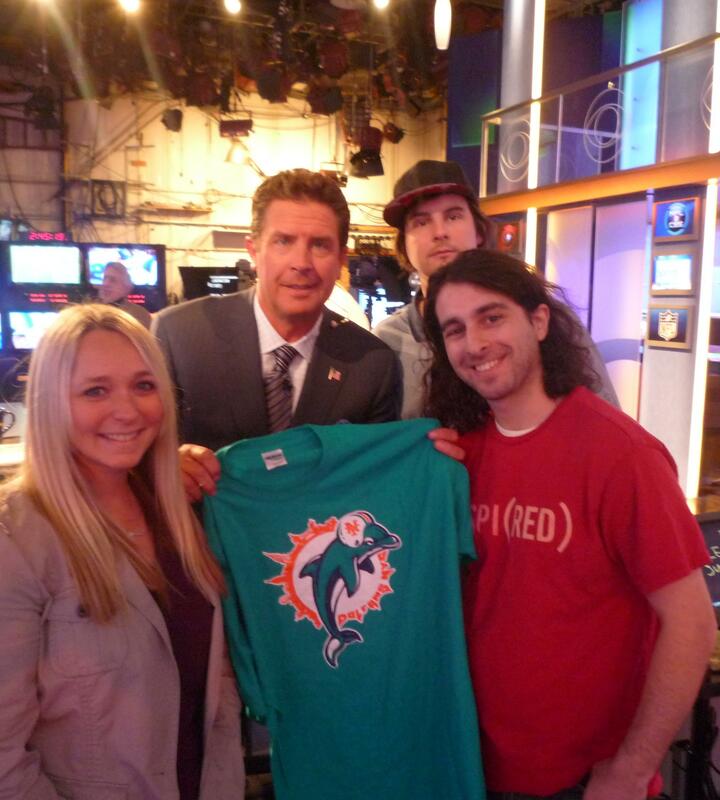 Can I keep this?â€ asked Marino after we gave him a DolfansNYC t-shirt. He thanked us for the gift, posed for a picture, and autographed our football, jersey, and photo. As Igor said afterwards, it was an epic day. This entry was posted on Wednesday, November 24th, 2010 at 11:50 am	and is filed under Misc Posts. You can follow any responses to this entry through the RSS 2.0 feed. Both comments and pings are currently closed. 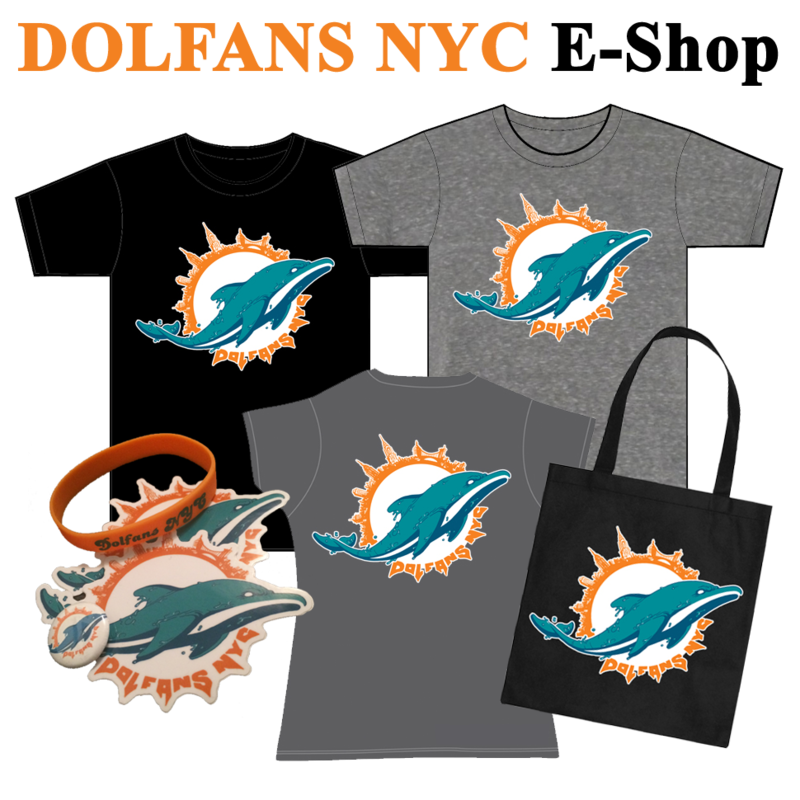 Thanks DolFanNYC, nice to know that there are people in New York rooting for my Miami Dolphins! ThankS!!! Hopefully we can win soon!!! -Ciao! That is great! Glad you got to hang out with Dan the Man! We will definitely mention this on the show on Monday night.